Why would an artist choose Muni to represent speed? 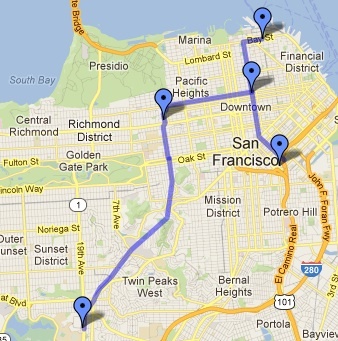 Where would this “TJ” route go? While I won’t attempt to answer the first question, I’d like to speculate on the second. 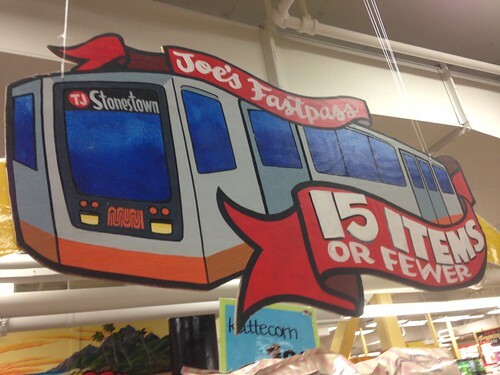 The TJ Metro line has to connect all five Trader Joe’s locations in the city. That’s no easy task. Outbound stop is Stonestown. Trains head inbound along existing M line through West Portal and Forest Hill. A switch in the Twin Peaks tunnel takes TJ trains to a new side tunnel heading north under Masonic to an underground station at Geary. Inbound trains continue north, turning east to a new California Street subway tunnel. All trains stop at a station under Hyde and California. From here there are two inbound routes. TJ-N trains head north under Hyde street to a terminal at Bay Street. TJ-S trains head south under Hyde to a connection at Civic Center, continuing under 8th St. to a terminal at Bryant. Sounds good, does it not? I’m getting hungry for cheap wine and frozen pizza just thinking about this. Better get digging, Trader Joe. I have a shovel and a ladder you can borrow. 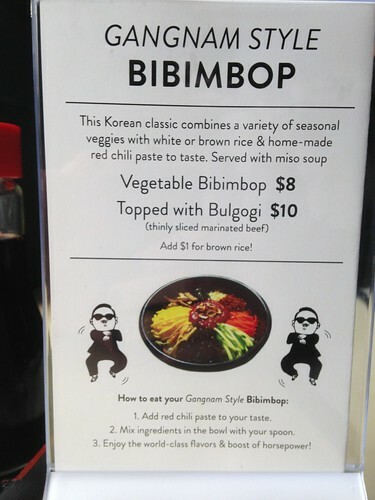 Mission District sushi joint Yo Yo has jumped on the Gangnam Style bandwagon as part of their effort to add a few Korean dishes to the menu. Bimimbap is a traditional Korean dish which, as far as I know, has nothing to do with horsey dances or yelling at women’s butts. While it’s perhaps a few months late to jump on this particular fad, the dish itself looks promising. If anyone’s tried it I’d be curious to know if it’s any good. 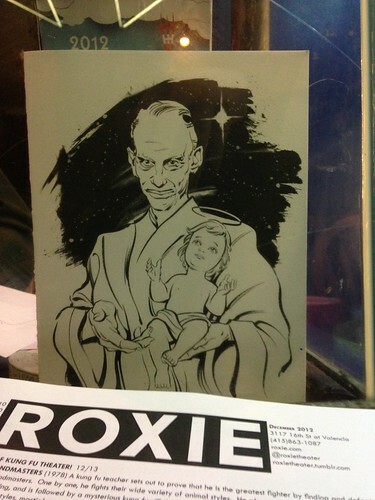 Legendary director John Waters sent a holiday card to the Roxie Theater recently, pictured above with a fantastic illustration of Waters himself. You can check it out on display in the ticket window at the Roxie. As you might recall, Waters’ connection to the theater is that he helped out with the Roxie’s fundraiser last month. The memorial pictured above recently appeared at Katz Bagels on 16th St. 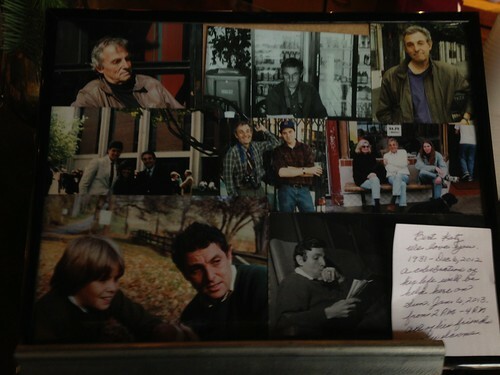 Founder Burt Katz died last week. He was 81. As you may know, Katz Bagels has several locations around the city. Some have been rebranded with new menus (Nectar, for example) and the 16th St location recently did a stint as “Pizza 16″ before reverting to Katz Bagels. You might also recall the 16th location was once home to a bagel UFO which was later moved to storage in a parking garage. My understanding is that Burt’s son Mike has handled the day-to-day business for some time, so I doubt we’ll see any major changes. Rest in peace, Mr. Katz. It’s got to be tough being raised by wolves. But cats? You’ll spend the rest of your life acting like sort of a selfish jerk who’s obsessed with birds and laser pointers. This weekend the SF Chronicle looked into the trend in retro men’s barber shops. The goal of this trend is to allow men to pay $40 for a haircut without becoming metrosexual in the process. This is achieved with retro hairstyles, vintage barber chairs, and reams of flannel. “This is about moving past the scraggly, long-haired hippie to something rugged and masculine and real,” says Buffa, who’s interrupted by a friend bringing a quiche from Tartine. Surprisingly it’s now possible to be rugged and masculine while eating $5 artisan quiche at the same time. So much for Real Men Don’t Eat Quiche. How times have changed! 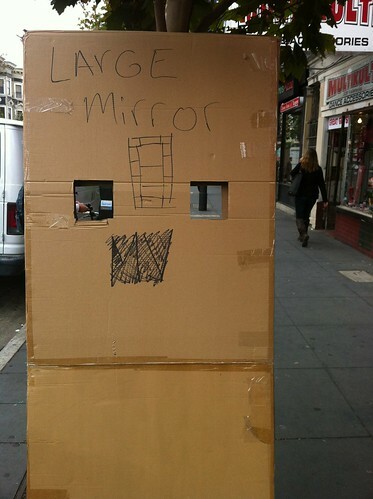 Took one look in this large mirror and man, I look awful today. I look like cardboard. 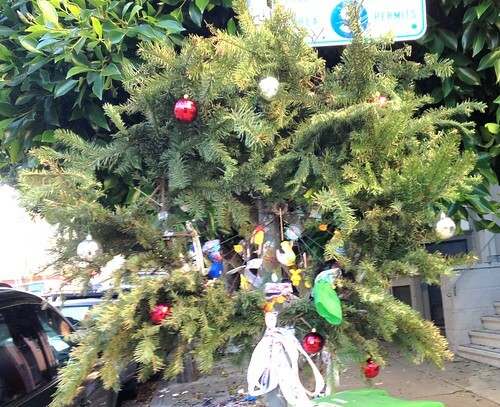 You are currently browsing the MrEricSir.com blog archives for December, 2012.